Wairoa Special School Fund Raiser 2012 – Two runs done, one to go! 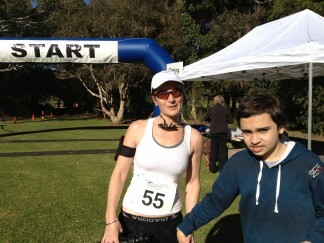 Crystal finished the run on a fine sunny Sunday morning 24/6/2012. James and his Dad were there to meet her at the finish line. It was Crystal’s idea to do three runs this year to raise money for James’ school. This is really her preparation for the triathlon later in the year to raise money for breast cancer. Thank you to those who donated for this run. Another fine day greeted the intrepid runners of four. 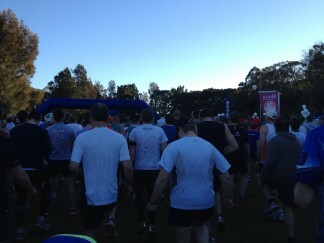 As the run started at 8am for the men and 8.15am for the women, it was an early start. An 8 degree temperature morning certainly let you know you’re alive! Yes I know it’s meant to be a fun run. Anyway, Steve, Dave and I eventually had to remove our gloves, track pants, jumpers and beanies and donned our We’re Running For Wairoa white caps. 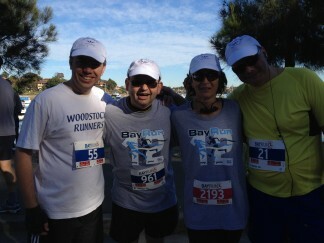 We’re off with the largest group of runners marking the 10th anniversary of the Bay Run. Crystal then set off at 8.15am. It’s quite a sight, running along the edge of the bay watching the rowers out practicing on the very still water. It wasn’t long before we all warmed up. Towards the end of the 5th km, the first woman started to pass us by. This is when I remember it is a fun run, and my legs decided not to catch up with them. 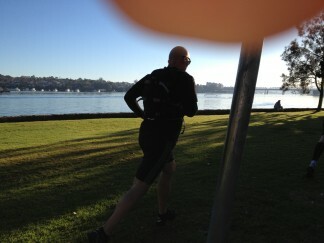 Thanks to Steve (who has run Marathons), for his continual urging me on. Dave wasn’t far behind. At least Crystal didn’t pass us, but she did have the fastest time of 39 minutes. Yes we all finished! The guy’s times were about 45min (with a large concession to Steve’s time to help me). 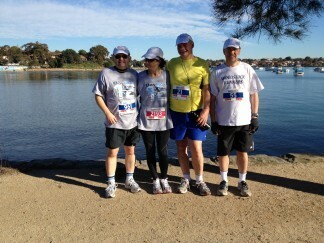 I would like to thank again Steve, Crystal and Dave for their help, also with training and fund raising. In six weeks we will get together again, but this time we will be joined by my brother Mark. 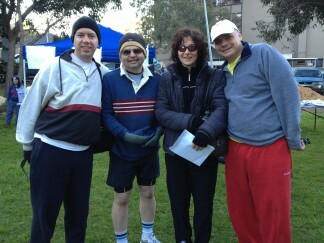 Hopefully by then the day’s start will be warmer as we run across the Bridge and Cahill expressway. Then into the Art Gallery Rd, down to Lady Macquarie’s Chair, and loop back to Macquarie St and turn down to finish at the Opera House.